Fluoride-releasing composite surface sealant comprised of unfilled, light-cured resin material. Fills and strengthens the composite surface after finishing. Fills cracks and pits often created during high-speed finishing to guard against premature wear and staining. 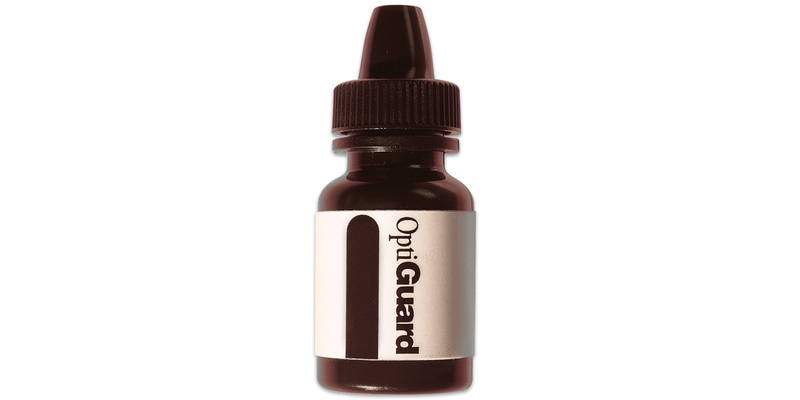 Contains: 2 x 5ml bottles OptiGuard surface sealant; 1 x 3g syringe Kerr gel etchant; 10 disposable gel etchant syringe tips; 25 disposable mixing wells; 50 disposable applicator tips.